Incase you haven't heard yet it's time to say good bye. Once again the end of an era has come. 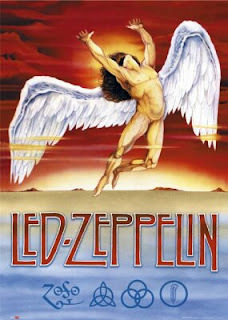 In news reported today by the bands manager Peter Mensch , Led Zeppelin will not be getting back together, they will not be touring, it's done and over. According to Mensch, the remaining members of the band, excluding front man Robert Plant, had tried out a few different singers but it didn't work. How could it? Robert Plant was the voice of Zeppelin. How many of you out there, like me spent many nights in a haze of whatever was your choice of happiness for that night listening to Stairway To Heaven until you passed out? Even in a stupor you knew who you were listening to because of Robert Plant. His singing voice is highly distinctive and made Zeppelin well, Zeppelin. Not something that could be replaced. I don't know how it came about but I am very happy that someone within the inner circle of Zeppelin realized this and didn't put together a half assed sound trying to pass it off as the legendary Led Zeppelin. We've seen this happen before with other bands and we also saw how far that went and how bad it looked and sounded.. Journey is just one example. Yeah, they put out a couple good songs after Steve Perry was gone, nothing to write home about but, they were never the same. They never achieved the same fame or anywhere near it. The cold hard truth of that whole story, whether the existing band members like it or not is, Steve Perry made Journey what it was because of his voice. Another front man with a very distinct sound that could not be replaced. They should have stopped while they were ahead. Anyway, Good bye to Led Zeppelin, good bye to an irreplaceable era and most of all, thanks for all the great memories that were created listening to your tunes!